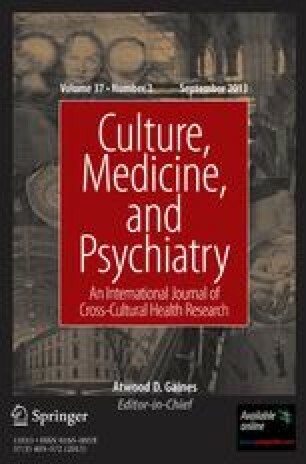 Individual illness belief systems form a cognitive structure which lies beneath the cultural and social aspect of health care in a community. Popular belief systems are different from, yet linked to, expert belief systems. Popular illness terms often help support a stable cultural milieu by linking concepts of causes and significance of types of illness problems with a set of health care seeking choices; as well as linking typical physical and psychological symptoms with associated social problems. This study presents an example of how illness beliefs perform these functions in urban, mainstream America. One hundred and seventeen people with biomedically defined hypertension were interviewed following the Explanatory Models format. The belief held by 72% of this sample was that they had ‘Hyper-Tension,’ a physical illness characterized by excessive nervousness caused by untoward social stress. The data are used to derive a composite diagram of the cognitive domain of ‘Hyper-Tension’ in America which demonstrates the various options people have for interpreting their experiences and choosing appropriate therapeutic actions. They use this illness belief system to justify otherwise unwarranted social behavior and to assume various aspects of the sick role. This popular model is compared and contrasted with the professional model of the disease ‘hypertension’ and with other less frequent models which were observed in this sample.